We are approved by the Indiana Professional Licensing Services, Real Estate Commission as a continuing education provider (Provider ID CE21600003). 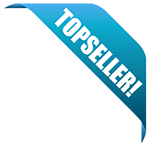 You can find us on the CE Sponsor list as 1 Attempt (AYPORealEstate.com). Complete your continuing education to renew your IN real estate license today. All of our courses can be completed At Your Pace online in order to help you maintain your license. Once you complete your class you will have an official certificate of completion available to print or save for your records. Most licensees are required to take 12 hours of continuing education every year by June 30th. Managing Brokers are required to complete 4 hours of Managing Broker CE as part of their 12 hours every year. This 12-hour package is designed especially for Managing Real Estate Brokers in Indiana to meet all of their required Managing Broker continuing education credits. In the course, we will provide a legal update including changes to license law, and a review of the legal limits of real estate practice. We will also talk about techniques for managing a brokerage, electronic documents and cyber security, and safety and risk management techniques. We will also cover important topics and concepts related to the ownership and management of real property. 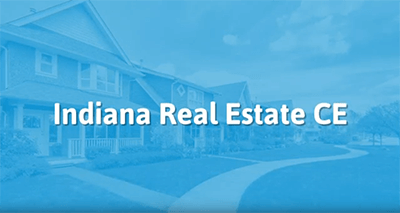 This 8 hour course is designed to provide Indiana real estate professionals with an overview of important topics and concepts related to the ownership and management of real property. This package covers topics such as basic property law, legal descriptions of property, land use controls, valuation of property, taxation of property, investment in real estate, property management, and the foreclosure process. This 4-hour course is designed especially for Managing Real Estate Brokers in Indiana to meet their required Managing Broker hours. In the course, we will provide a legal update including changes to license law, and a review of the legal limits of real estate practice. We will also talk about techniques for managing a brokerage, electronic documents and cyber security, and safety and risk management techniques. We will also spend time discussing what ethical behavior looks like as a real estate agent, and how to handle client funds and trust accounts appropriately. Note: Course sponsorship registration numbers should be printed on certificates issued to the course attendees. Please feel free to contact our office if you have any questions or concerns at pla9@pla.IN.gov or 317.234.3009.